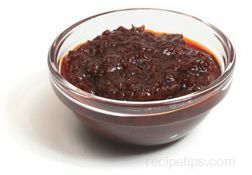 A paste made from crushed roasted chiles, which is used as a seasoning in many Thai sauces, soups and dishes. Also known as "Thai roasted chile paste." It is available in Southeast Asian markets.